Beat This Caption Contest 213 Winner – Caption Contest Funny Clever Witty Enter Today! Bob didn’t mind trying on the underwear, but admitted it took the bromance to a whole new level! 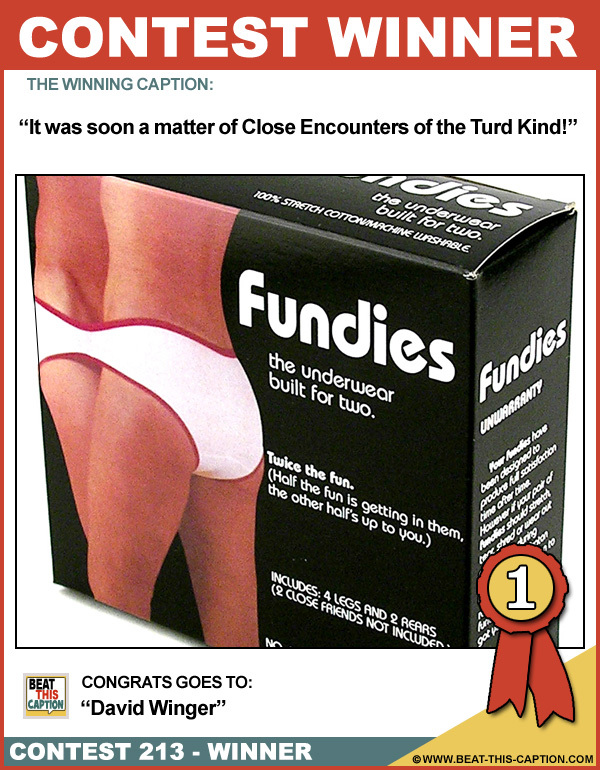 It was soon a matter of Close Encounters of the Turd Kind! Unfortunately, we tried the 69 position, and my girlfriend suffocated! It’s all in the name “Fun-dies”! Later versions incorporated a safety release, but only the original allowed for a stately release! Mom liked them because it cut down on me and my sisters wash load!